Hello friends, today I am back with the second installment of “Exposing the Mindset of Muslims” series. A series that exposes the deceitful and hateful mindsets of Muslims. Showing us that your everyday Mo is part of the problem. A job the MSM just will not do. If you have read the first article I posted here today, you will know that I clearly exposed “TrueIslam”com for the Ahmadi Muslim propagandists they are. And you will also see that the exchange took place on Twitter. Where a US convert to Islam was not happy! Soldier of Islam to Logan’s Warning: Repent or Die! While I and many others are happy that the voice of North American Infidels is on the rise via Twitter, apparently some are not. Today we see another example of how everyday citizens like us can make a difference in the war with Islam. Last night I published a post that showed an Islamic terror threat to NYC. A threat that was reported to the FBI. Washington Muslim: Logan, you Will Drown in Your own Blood! When I first started my mission against Islam I was continually told that Muslims in America were different from elsewhere. Of course I did not believe it one bit, as America was not going to magically be the one country Muslims did not want to takeover. My response was to look overseas to see what is coming our way in regards to Islam, and back then most of the threats I received were from lands far away. Recently though that has changed. Now they are coming from within the gates of our great country. America. 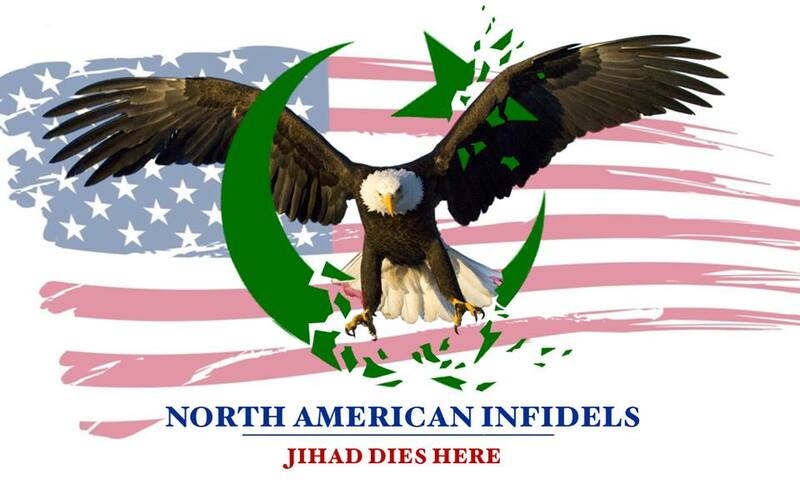 Muslim in America to Logan’s Warning: Convert, Accept Islamic Rule, or Else…. In the last post here we left off with “Jihadifanclub” stating that him and his Sharia loving brothers were going to overthrow the US Government. Since then I asked him how he was going to do it, and once again Jihadi showed where his loyalty lies. As most of you know I am just settling in after moving last week, so I have not been able to post much here or check my email. I should be finished with everything today, so I took some time to catch up on my emails. To my delight there were some lovely housewarming gifts left for me, by some new Muslim friends of mine. There is nothing better, than making new friends. you christians have no humanity. have u forgotten the time when we muslims conquered you people in history and did the mercy whom u can never show. we muslims has always battle and ruling ethics and u ……….???? Muslim Visits Logans Warning, Tells me to lay Down and Die! I guess there really is no rest for the wicked. Even on Father’s Day, a Muslim has to drop another threat on my site. I know this is off topic for my site, but I felt it was important enough to post. I was on Facebook with some people, arguing against illegal immigration and I clearly stated that I was against it for financial reasons. Of course I got hit with the usual “you are a racist” nonsense. Then a fellow FB poster left this comment.